Light up the court and enjoy more success than ever when you pull on the Gilbert Helix II Netball Top in Green. 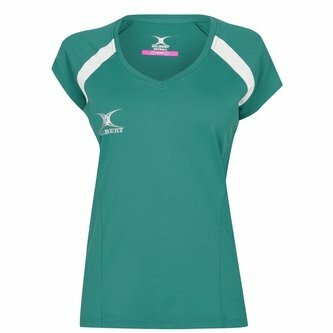 This netball top features a v neck and stretch fabric for improved comfort and fit. Made from a 92% polyamide and 8% elastane combo, keeping the wearer cool by improving breathability and ventilation. Also utilising a dropped back hem for added comfort and reduced irritation.